What Is the Nest Thermostat and Why Would I Want One? The Nest Thermostat is one of the most popular smart thermostats on the market, mostly thanks to its unique design and easy-to-use user interface. 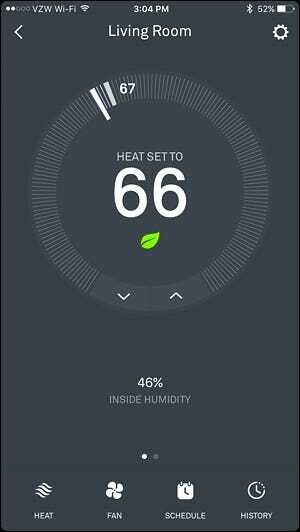 It even allows you to control your home’s heating and cooling right from your smartphone. But it’s biggest selling point is that the Nest learns your habits, and can eventually do it all automatically. 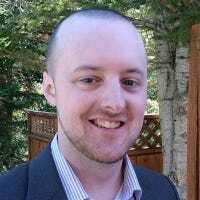 So if you tend to turn down the heat when you go to bed and turn it back up when you wake up, the Nest will learn this and do it for you, without you having to program it manually. 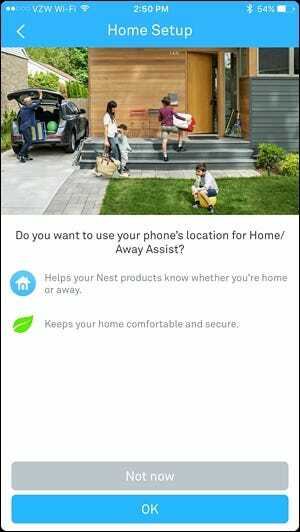 The Nest can also learn whether you’re home or away, based on your phone’s location and the Nest’s built-in motion sensor. 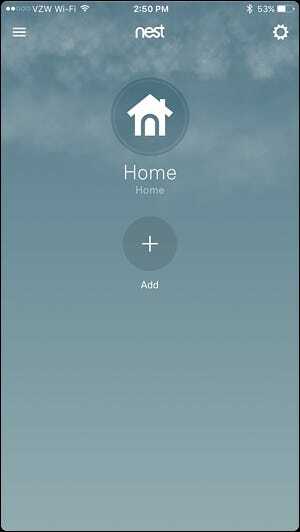 You can also set it manually, and tell the Nest whether you’re at home or will be away for the day or weekend so that it can heat or cool your house accordingly. Will the Nest Thermostat Work in My House? You might think that the Nest Thermostat will work with any thermostat setup in any home, but that’s not quite the case. The Nest will work with any low-voltage system, but it won’t work with high-voltage systems (also known as line voltage) at all. If you’re not sure which kind of system you have, you can quickly pop off your current thermostat and take a look at the wiring. If you see a handful of tiny wires in all sorts of different colors, then you likely have a low-voltage system, but if you see only 2-4 larger wires that are connected with wire nuts, then you likely have a high-voltage system. You can also look on the thermostat itself to see how many volts it is. If it reads something like “110 VAC”, “115 VAC”, or “120 VAC”, then you have a high-voltage system and the Nest won’t work. It is possible to convert to a low-voltage system if you have a high-voltage system, but it’s pretty involved and takes a bit of know-how, so if you absolutely want to install a Nest Thermostat, it might be best to call a professional to convert your system. Without all that said, if everything looks good on your end, here’s how to install and set up your Nest Thermostat. Locate your thermostat and turn it off. It will still be powered on, but you should turn off the heating, cooling, and fan. It’s also a good idea to remove backup batteries if your thermostat has any. Next, you’ll need to turn off the heating and cooling at the breaker box. Sometimes, the furnace and the air conditioner are on two separate breakers, so you’ll need to switch off both. Remember, this isn’t just for your own safety, but not shutting off the heating and cooling completely can blow a fuse, which will require an electrician to fix. You might also have to turn off a third breaker for the wire that gives the thermostat power. The diagram of your breaker box may say which breaker the thermostat is connected to, but if not, it’s a safe bet that if your thermostat is located in your living room, turning off the breaker for the living room will do the trick. Furthermore, your furnace’s main shutoff could be next to the furnace itself, rather than on the breaker box. Next, remove the thermostat body from the wall. It’s usually just clipped in and requires a slight tug to take it off, but you may need to unscrew yours. From there, you’ll be able to see the wiring of your thermostat. We recommend taking a voltage tester and confirming that there isn’t power running to it. If there is, you need to go back to the breaker box and try turning off another breaker. This next step is important. Take a photo of the current wire setup and note where each wire is running. Most of the time, the color of the wire will correctly correspond to the letter of the screw that it’s connected to (e.g. yellow wire connected to “Y”, white wire connected to “W”, and so on), but sometimes that isn’t the case, and you might have something like a blue wire connected to “Y”–like I do in the photo below. You can also use the included wire labels in the Nest instructional booklet to mark the wires, but taking a photo and noting where the wires go is good enough. Next, unscrew the wires from their screw terminals using the screwdriver that came with your Nest. If there are any jumper cables (i.e. short cables going from one terminal to another) you can remove them and toss them out, as you won’t need them for the Nest. 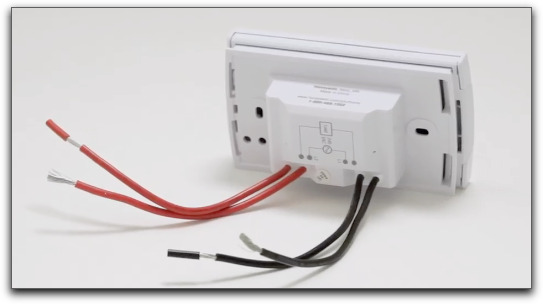 Once you’ve disconnected all of the wires, you can completely remove the thermostat and take off the thermostat’s wall plate, which is likely secured to the wall with a couple of screws. Take the Nest base plate and put it on the wall where you want the Nest Thermostat to go. 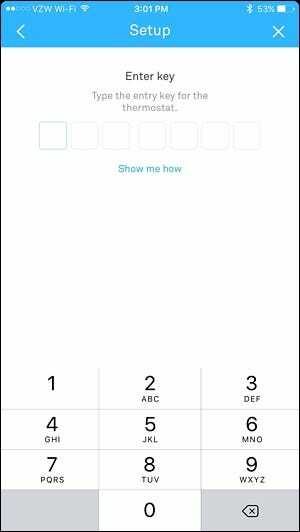 Use the built-in leveler to make it level. From there, use a pencil and mark where the two screws need to go–one on the top and one on the bottom. If there’s a stud behind the drywall where you want the screws to go in, you’ll need to pre-drill small holes first before screwing the base plate in. Otherwise, the included screws are self-tapping and can easily be driven into drywall without pre-drilling. Drywall anchors aren’t necessary. When you’re ready to drive in the screws (a drill is highly recommended for this), place the base plate back on the wall where you want it and feed the wires through the center hole (include the trim plate behind the base plate if you want–it’s good to use if you don’t want to spackle and paint over the spot where the old thermostat was). Take the two screws and drive them into the wall, making sure that the plate remains level as you do so. Next, you’ll plug in the wires into the Nest’s base plate. 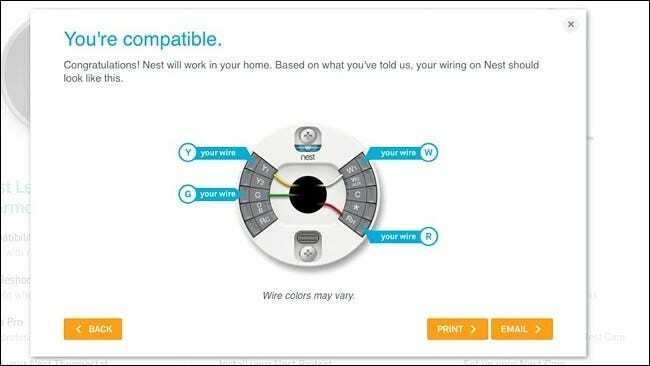 If you’re not sure where each wire goes, you can use Nest’s wiring diagram helper online, which tell you which wires go into which ports, shown below. Before you connect the wires to the Nest’s base plate, you’ll need to straighten out the wires using some needle-nose pliers. To insert and secure a wire, press down on the button and insert the wire as far as it will go. Then lift up on the button. Give the wire a nice tug to make sure that it’s snug and it doesn’t come out. Once all the wires are inserted, push the bunch inside as far as they’ll go so that they’re not sticking out past the base plate. Next, take the main Nest Thermostat unit, making sure the Nest logo is at the top, and then simply push it in until it clicks into place. Remove the plastic that covers up the motion sensor. Go back to your breaker box and turn the power back on to every breaker that you turned off. Your Nest Thermostat will automatically boot up and the setup process will begin. The first step in setting up the Nest Thermostat is selecting your language. To navigate through setup (as well as the different menus when you have it set up), spin the silver dial on the unit in either direction to move the selector on the screen, and then push on the entire unit to select it. The next step is connecting the thermostat to your WiFi network, so push on the unit to get started. Select your WiFi network from the list provided. Enter in the password for your WiFi network and then move the selector to the checkmark icon when you’re done. You’ll get a confirmation letting you know that your thermostat is connected and online. Push on the unit to continue. Next, you’ll need to set up your location. This will display the local weather on your thermostat. Push on the unit to continue. It may ask you if you live in an area that isn’t even close to where you’re located, which is a bit odd, but simply select “No”. Select the continent that you live in. 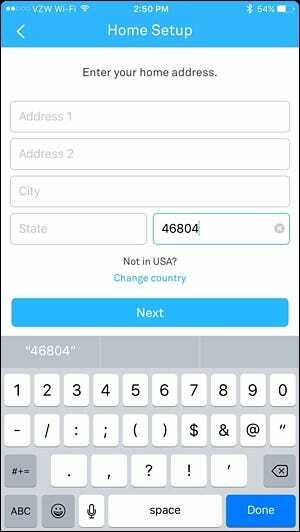 Enter in your zip code by using the silver dial to select a number. Push on the unit to move to the next digit. Next, select what kind of place you live in: “Single-Family”, “Multi-Family”, “Apt./Condo”, or “Business”. Select where your thermostat is located in your house or apartment. Next, you’ll set up the heating and cooling to make sure the thermostat works correctly. Push on the unit to continue. You’ll get a diagram showing you the wires that the Nest Thermostat has detected. If all looks good, push to continue. If not, you’ll likely need to re-seat the wires to get them detected. The next screen will confirm your system. In most cases, you’ll have heating and cooling, as well as the fan. Push to continue. You’ll then select the fuel source for your heating. If you don’t know this, select “I Don’t Know” from the list. After that, select the type of heating you have. The most common type is forced air heating, which will be the first option. The next step is setting the minimum and maximum temperatures that the Nest should heat or cool your house to when you’re away. Push to continue. It’ll ask you whether your Nest should start off by using heating or cooling. Next, you’ll set your minimum and maximum temperatures. You can leave these both “off” if you don’t want to set them. Otherwise, use the silver dial to select temperatures for each one. You’ll now be able to test your system with the Nest thermostat to make sure everything’s working properly. Push to continue. Choose whether you want to test the heating, cooling, or just the fan. Whichever you choose, make sure that air comes out of the vents and that it’s either warm or cool. If you want, find your furnace or air conditioner and make sure that it powers up. Once testing is complete, the Nest Thermostat itself is set up and ready to use, but you’ll also want to set up the Nest app on your smartphone. 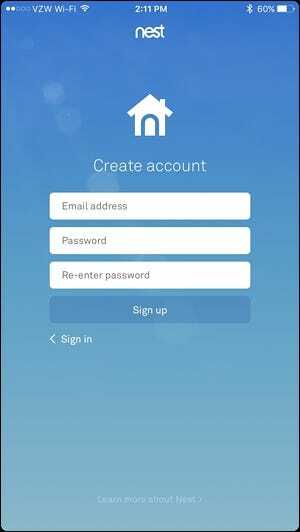 Once you have the Nest Thermostat set up, it’s time to install the app and connect it with the thermostat so that you can monitor and change the temperature from your phone. 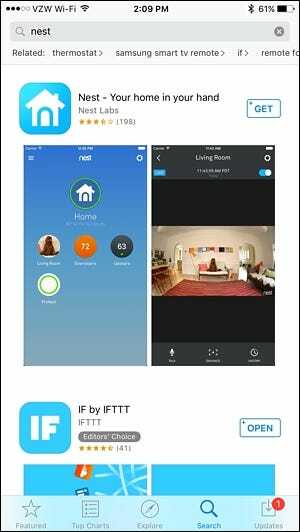 First off, download the Nest app from the iTunes App Store or Google Play, depending on your device. 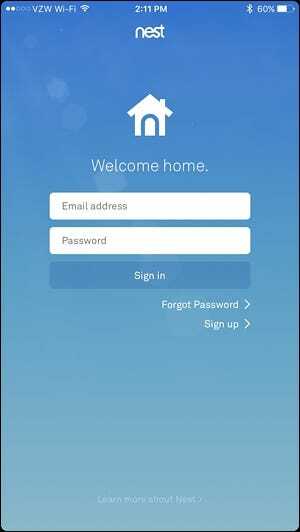 On the next screen, you can set up Home/Away Assist, which uses your phone’s location to automatically determine whether you’re home or away, and automatically adjusts your thermostat accordingly. You can choose not to set it up right now (you can do so later on). You can also share your Nest Thermostat with other people in the house so they can monitor and change the temperature from their own phone. You can also set this up later. You’ll then be taken to the main screen. Tap on the “Add” button to add your Nest thermostat to the app. Choose “Nest Thermostat” from the list. Hit “Next” on the next few screens until you arrive at the following screen. 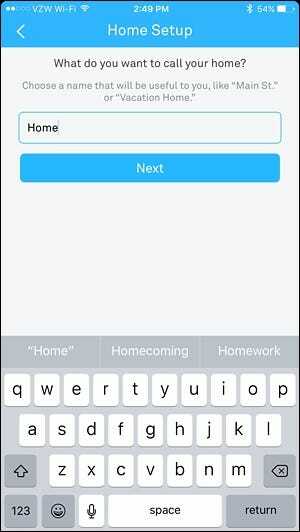 To connect your Nest Thermostat to the app on your phone, you’ll need to enter in an entry key. 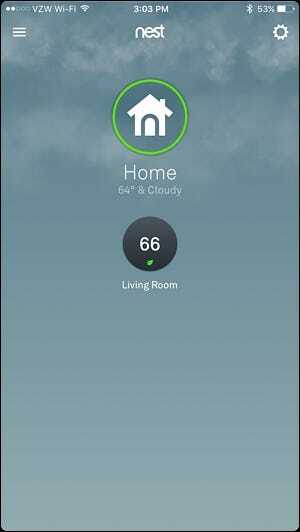 To get an entry key, go to your Nest Thermostat and push on the unit to bring up the home screen. Scroll to the settings gear icon and select it. 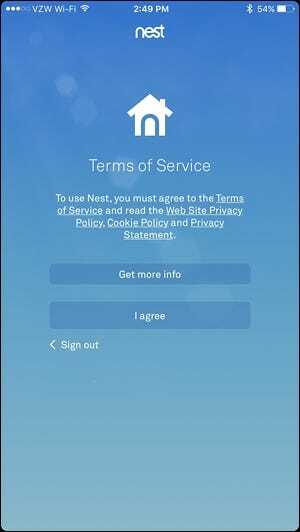 Scroll to “Nest Account” and select it. You’ll get a prompt saying that you’ll receive an entry key. Push to continue. Enter in the seven-digit entry key shown on the screen. 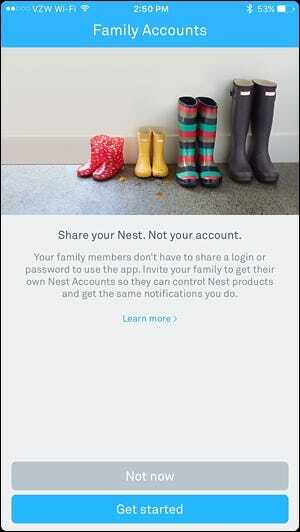 Once complete, your thermostat will say that it has successfully connected to your Nest account, and thus is connected to the Nest app on your phone. Your Nest Thermostat will now show up on the main screen of the Nest app. You can tap on it to bring it up and begin controlling your thermostat remotely. You’re all done! At this point, you can adjust the temperature of your Nest Thermostat right from your phone and from anywhere in the world. 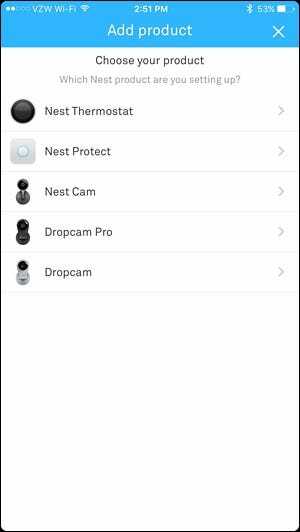 There are also a handful of settings that you should check out, so take the time to explore the app and check out our guide to programming the Nest to get acquainted.